Industries yet to make a mark in the Digital World? Home / Digital Marketing / Industries yet to make a mark in the Digital World? Wondering if it is worth initiating the cumbersome task of creating your industry’s presence in the digital world? Then worry no more. This article is here to help you out. What is this digital world you keep hearing about? The internet came as a blessing, connecting everyone, everywhere and everything. Think of the internet as a large net that has been cast around the earth. You cannot see it, but you most certainly can feel its presence. Phones, laptops, machines, all talking to each other through this net. This very net forms the digital world. It is a region where everyone is connected to everything else. What is the power this digital world holds? The answer to this cannot be given simply because the true capabilities of the internet have not fully been realised. The digital world has revolutionised every sphere of society, be it communications, or industries. Conducting business on foreign soil without actually being there has become a reality. Advertising and reaching out to a larger customer group is now enabled. Trading with traders across the globe has become very convenient and comfortable. In short, the digital world is where all the action takes place. Why should you concern yourself with this? Because, as stated above, all the action takes place here. This is your one stop to meet multiple targets: enlarging your customer base, making sure your products reach as many people and as many places as possible, gathering capital if needed, and securing business deals which otherwise demand cumbersome travels and meetings. 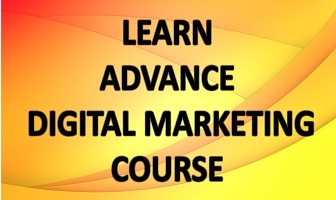 The digital world is a tool you can use to multiply profits and set up a better industry. For starters, you can reach out to new people. There is potential for the customer number to increase exponentially. People staying in regions far away from where your industry is can learn more about the products you manufacture. You can generate stronger trust between you and your clients. Business deals! Meet other manufacturers who could supply materials you need for your industry. You can pick the best and most economical choice from the variety before you. With savings climbing, expansion is no longer a dream. Increase in customers translates to only one thing – more sales and, therefore, more revenue. Reputation boost. Well executed advertisement campaigns, a good mascot, and an active online customer service will help satisfy the growing appetite of customers. Good word will spread about your industry. The points displayed above are some of the fundamental gains. There are so many more advantages that arrive along with a digital presence. The only way an industry can make it large in the modern world is by exploiting the resources of the digital world to its fullest. So what are you waiting for, industries? Have you made your mark in the digital world yet?